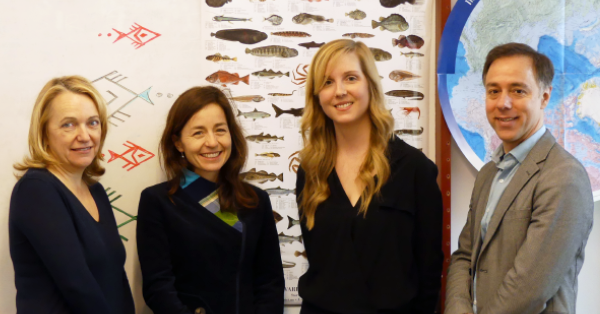 Montreal, April 28th 2017 - The 9th Laure Waridel bursary was awarded to Marianne Falardeau Côté, a PhD candidate in natural resource sciences at McGill University, at the Équiterre member meetup yesterday. One of the Canadian Top 30 under 30, recognized for outstanding work in sustainable development, Marianne is interested in the impacts of climate change on marine ecosystems and Inuit communities in the Canadian Arctic. The $10,000 bursary, awarded by Équiterre and Caisse d’économie solidaire Desjardins, will enable her to carry out various research, science communication and participatory activities in Canada’s North and South. 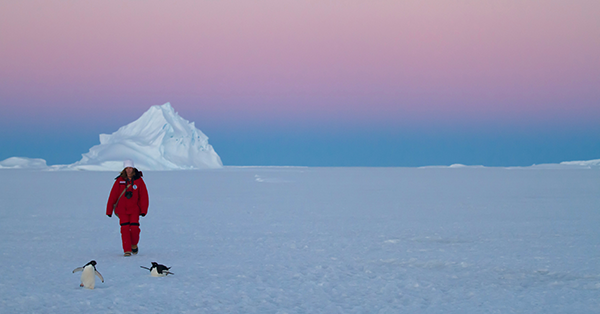 “Studying northern ecosystems sparked my interest right away because they are one of the planet’s most vulnerable. I use the innovative ecosystem services (ES) approach, which recognizes the benefits that ecosystems provide to people’s livelihoods and considers more carefully the impacts of environmental decisions,” explains the young researcher. 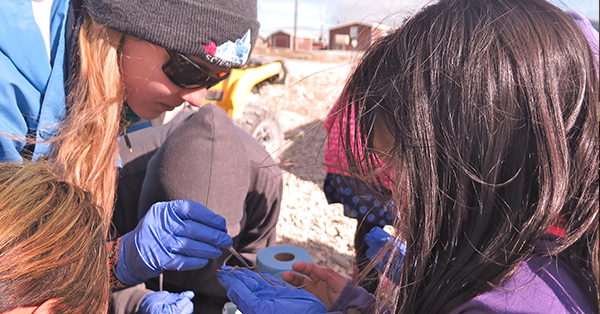 Marianne is conducting her study in Ekaluktutiak, or Cambridge Bay, Nunavut. 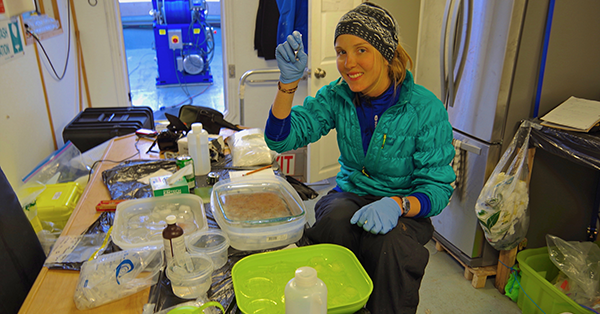 Her interdisciplinary research highlights the importance of ecosystem services in the community, such as the provision of nutrient-rich marine food that is beneficial to our health. She also assesses the impact of climate change on the Arctic marine ecosystem, food and other important resources for local communities. As Marianne is on a study trip in Sweden, working at the Stockholm Resilience Centre, she sent a video on her research project and the activities she plans to do with the bursary for hundreds of members, employees and representatives of Équiterre’s board of directors to watch at the annual general meeting. “The transversal nature of Marianne’s project together with her creative ideas for disseminating her research results, particularly in schools, caught the committee’s attention,” says Colleen Thorpe, Équiterre’s Director of Educational Programs. "The dynamism and relevance of Marianne's research and action work will contribute to citizen engagement through the mobilization of new knowledge. It will shed light on climate change and the interdependence of societies." says Laure Waridel, CIRODD’s Executive Director and Équiterre co-founder. Making science simple is a key element of Marianne’s work. She has already run a science camp for young Inuit, led workshops in Quebec schools, given interviews to the media, appeared on children’s shows and helped design a comic about her experiences and PhD research (CURiUM magazine). 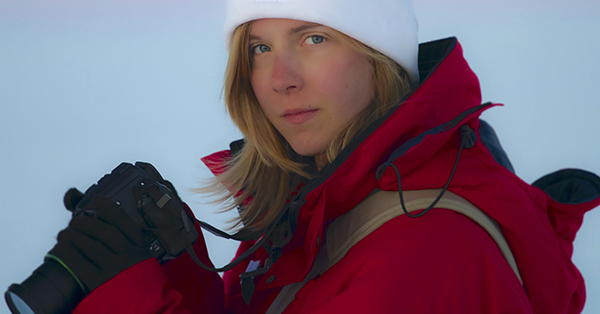 “Thanks to the Laure Waridel bursary, I’ll be able to run a number of workshops in Quebec schools to raise awareness about climate change in the Arctic and teach students what they can do to reduce their environmental footprint and make a difference. I’ll also be able disseminate my research results in Quebec and Nunavut and spread the word about the benefits of local food. I want to get young people thinking about climate change in the north and what it means for us, as well as the impact of our consumer choices on the environment and northern populations.” Marianne would also like to twin schools in northern and southern Quebec to encourage dialogue and organize creative workshops. She’ll also write articles for the public, policy makers and managers in the north to support the sustainable management of northern environments. The selection committee, composed of academics and ecologists, emphasized the high quality of the applications and candidates again this year. The Laure Waridel bursary, established in 2008, has funded many environmental and social research projects whose focus has included transportation, farming and green building—each one taking a step toward a sustainable world. You can read about Marianne’s upcoming activities on her blog or project page on Équiterre’s website, as well as Équiterre’s Facebook page and Twitter feed. Équiterre continues to build a social movement by encouraging individuals, organizations and governments to make ecological and equitable choices in the spirit of solidarity. Desjardins Caisse d’économie solidaire is Quebec’s leading cooperative financial institution specializing in the social economy and socially responsible investment (SRI), with over 14,000 members, including engaged citizens, collective businesses and social movements.